Department stores may have long cleared out their Christmas aisles, but there are bargains to be found, even in February! Many online stores still have pages for Christmas decorations and holiday items even though they have removed the links from the main menus of their sites. These off-season deals can be as much as an 80% discount, but always double-check that the items are still in stock. While most of these discounts are the stores' way of getting rid of extra inventory, some may be errors where the store just forgot to delete those pages! The links featured below were working at the time of publication, but they are sure to sell out soon! If you have any difficulties, always contact the customer service department of each site. Long a favorite source for holiday gifts, J. C. Penney still has some of their Christmas specials available. We're big fans of these classy red-and-white snowflake stockings - They were originally $34 each, now on sale for $6.79! 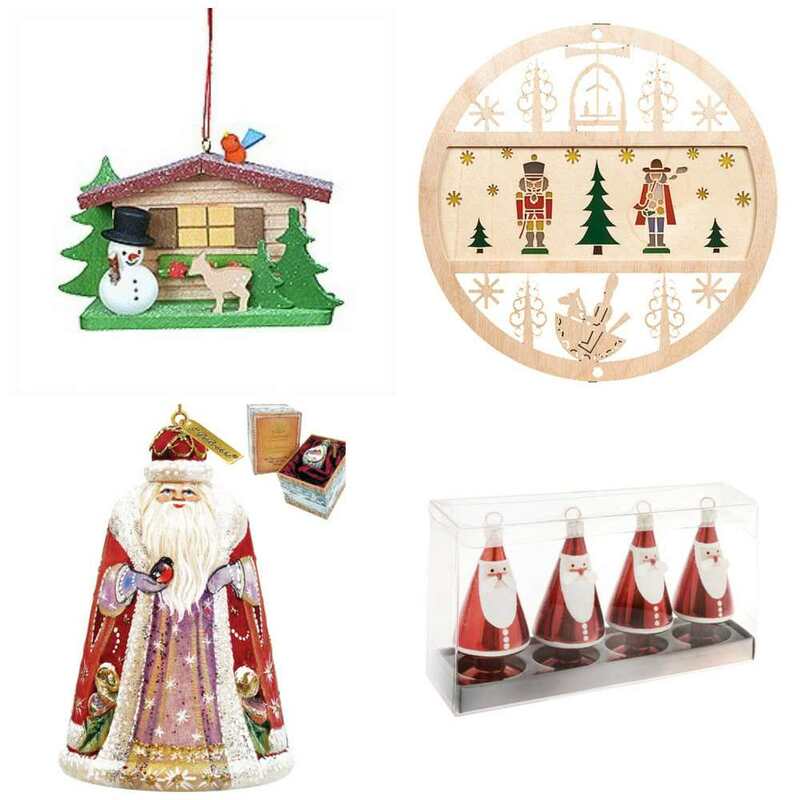 With a huge range of holiday housewares, Kohl's is a great place to stock up for next Christmas - From ornament storage to beautiful holiday serving dishes. 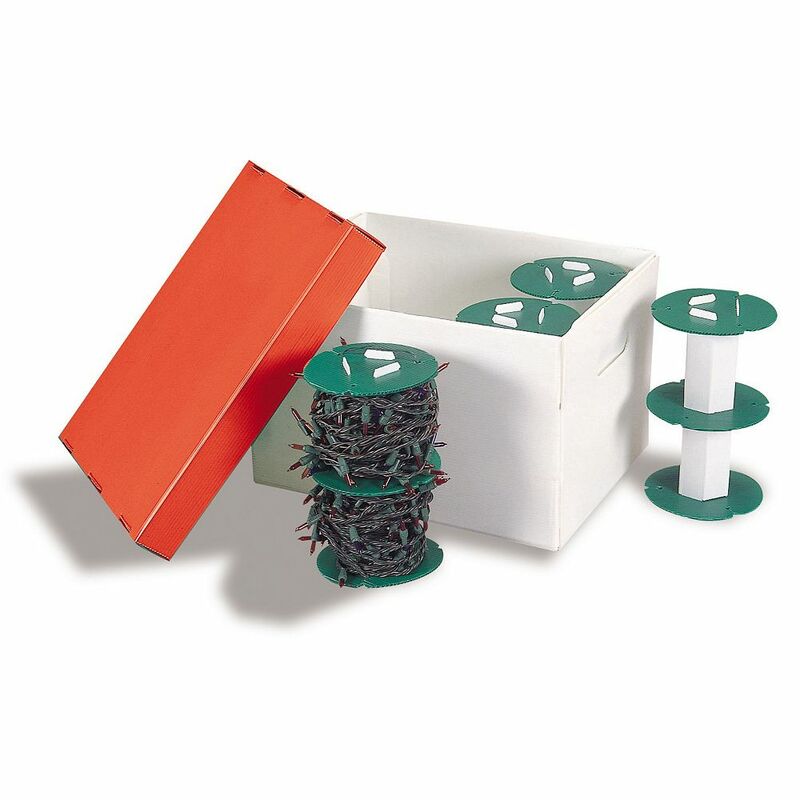 We especially like the look of this storage system for Christmas lights that includes spools to wrap up the lights and a box to easily store them in. A perennial favorite for Christmas classics, Lenox has ornaments in their signature white porcelain style available at up to 50% off! 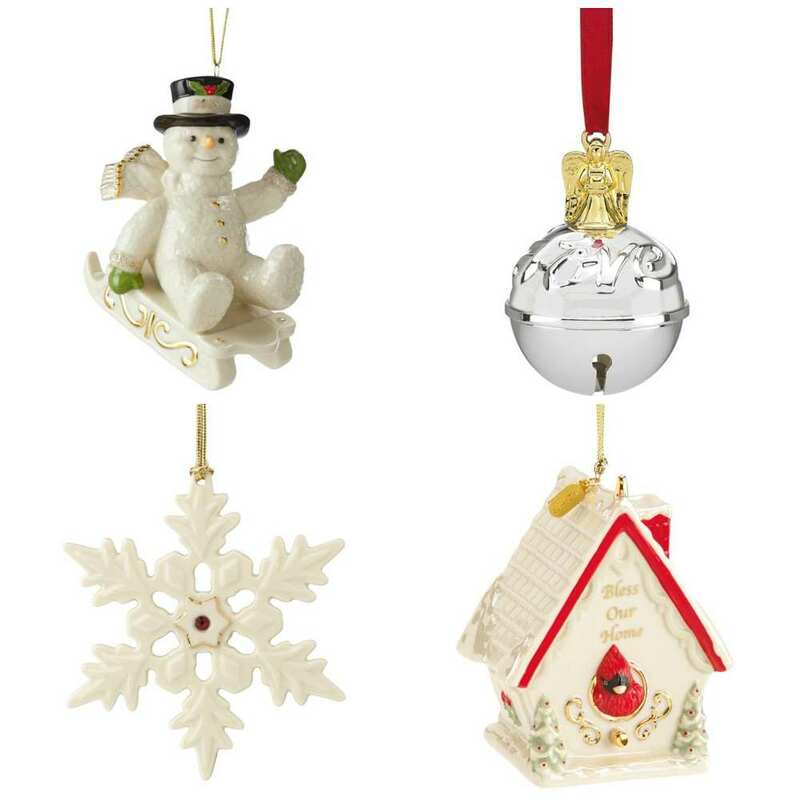 The four ornaments above are just the start of all the holiday pieces Lenox has on discount. Some are even dated 2015 already! There's a lovely selection of ornaments to be found at Pottery Barn's Christmas section, all with some nice discounts. 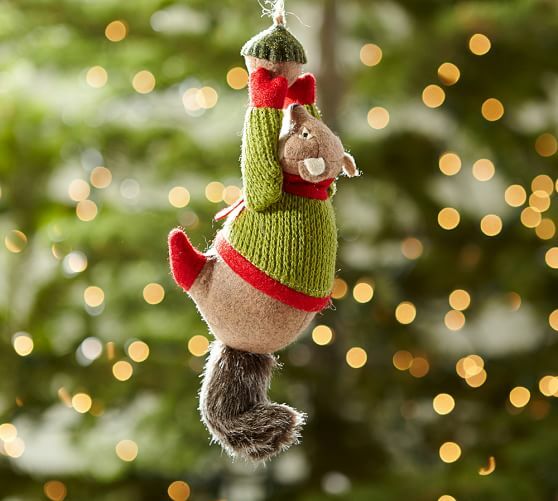 It's especially hard to resist this adorable squirrel ornament, on sale for $10! With a large number of ornaments in a variety of styles, Wayfair is a resource to keep in mind when planning out your decorating each year. They have many categories of ornaments, from rustic to modern styles, but the discounts aren't quite as extreme as some of the other sites. Will you be having a Christmas get-together? Stock up on these cheery Santa placeholders, currently 40% off! 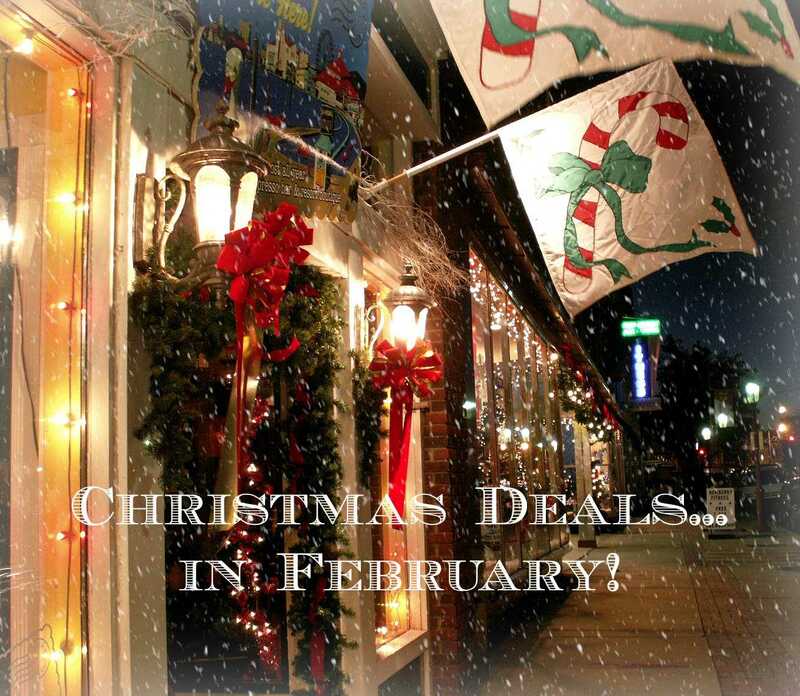 Where do you find great off-season holiday deals? Let us know in the comments, and Happy Christmas!